‘The Coach House’ is a romantic Grade II listed Holiday Cottage, nestled in the private grounds of the beautiful former 'Rectory of Ffestiniog' in the heart of Snowdonia National Park. Tucked down a country lane at the foot of Moelwyn Mawr but only 10 mins from the local pub it is a great rural retreat for a special romantic getaway. 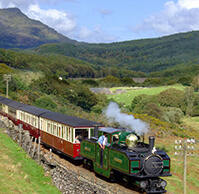 Close to beautiful secluded sandy beaches, historic castles, Ffestiniog Steam Railway, Portmeiron and Zip World. This pretty, romantic cottage is the perfect retreat for couples or a small family. Stroll to the pub by the river or just curl up with a book on your private sun terrace and watch the world go by! Offering weekend breaks as well as midweek breaks The Coach House provides the perfect honeymoon or romantic break! 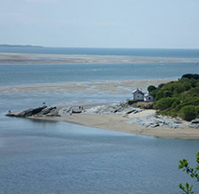 Croeso - We look forward to welcoming you soon to our beautiful part of the world! "Thank you for a wonderful time here at the Coach House. Its been pure bliss!! We've felt really relaxed and at home. The Coach House is a credit to you both its so cosy we didn't want to leave." "SUPERB!!! 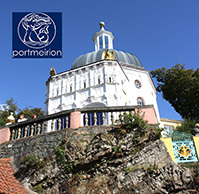 We have enjoyed a fantastic weekend break here. The cottage is very cosy & fab-u-lous! "Lovely cottage & warm welcome (including the wine!). 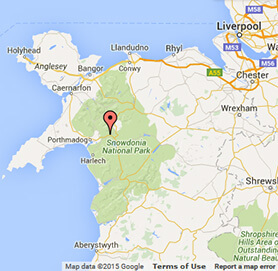 Great location for Snowdon (amazing), Portmeirion (quirky & beautiful), Harlech etc. Some great walks, wonderful scenery - Would definately come back!"